The museum was initially a building devoted to the empirical visibility of the Third Quadrant (III), which developed into a place to encounter the visible invisibility of the Fourth Quadrant (IV). 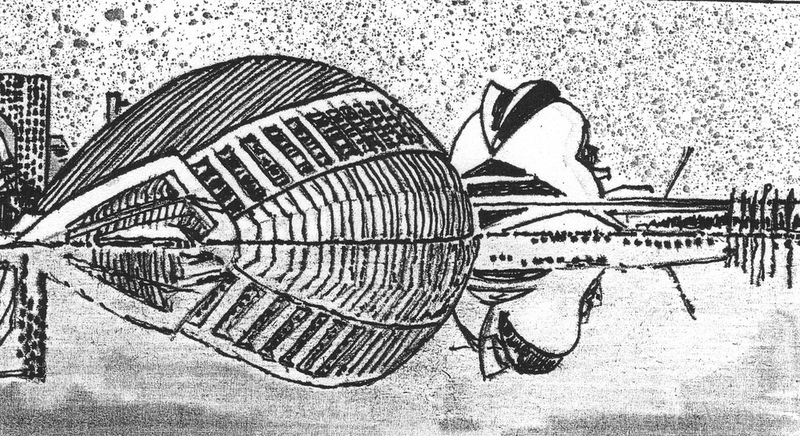 Its primary aim was to draw attention to the curiosities of nature and the efforts of man, like technical achievements. Gradually, the intentions of the museum shifted towards the beauty of art and the hidden world of creativity in general. The collection – both in the old and new setting – formed the heart of the museum, but the building surrounding the contents has always contributed in a significant way to the expression of the visible. It was understood from an early age that the visibility of the collection could be enhanced by the architecture of the building housing it. The museum, as a public building, holds a key to the particular type of communication (and division thinking) of its founders. The roots of the ‘museum’ are found in the practices of alchemy and their laboratories. The primitive laboratory consisted of a collection of bottles with various fluids and containers of basic materials and minerals – in particular the seven metals gold, silver, mercury, iron, lead, copper and tin. The curious components were gathered in order to be mixed and be treated – with the ultimate goal to produce gold (THOMPSON, 1932). Many numerological connotations and spiritual associations with astrology made alchemy a goldmine of lost historical ideas. 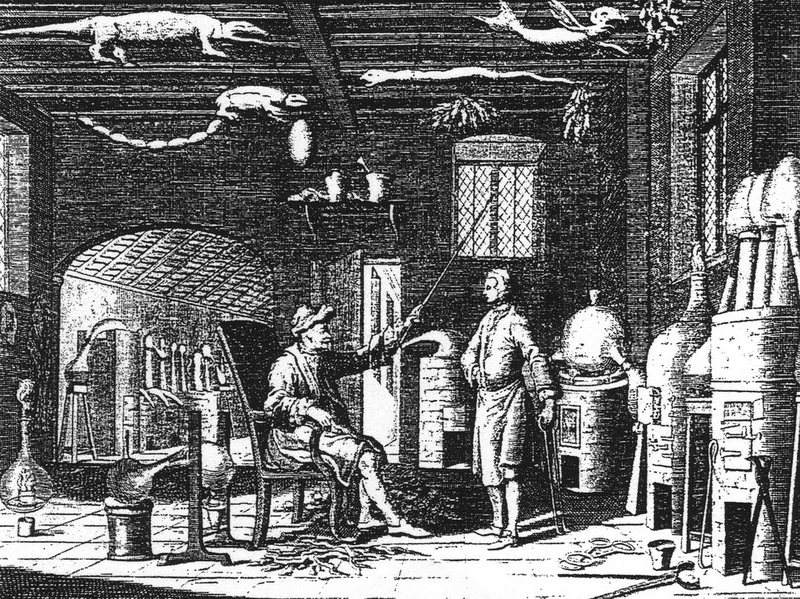 An engraving of 1747 is a (late) rendering of an alchemical laboratory (fig. 422). Fig. 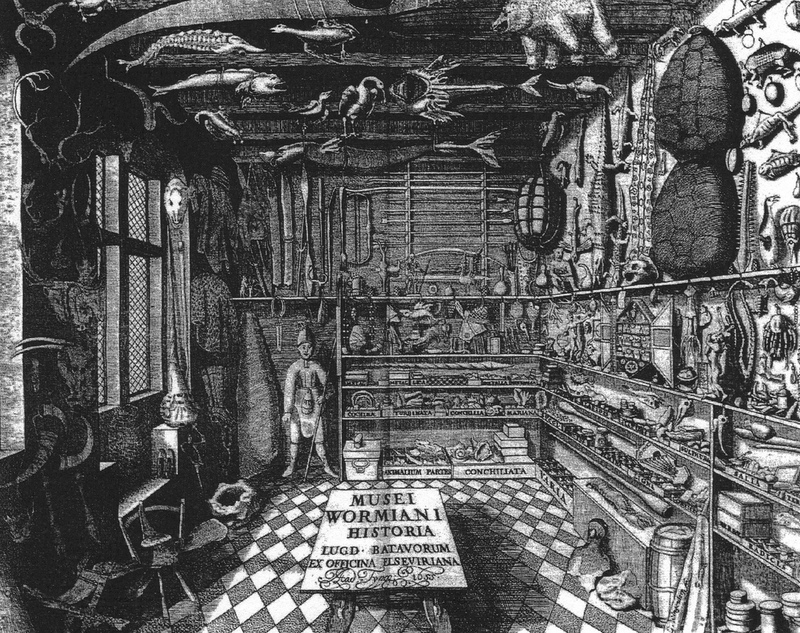 422 – This view of an alchemical laboratory was given on an engraving of the middle of the eighteenth century. The laboratory can be regarded as the first ‘scientific’ place of collection. The alchemist aimed at a transformation of the material to higher values, like gold and/or the Philosopher’s Stone. 2. Encyclopaedic collections and (early) institutional scientific collections (natural history) – 1550 – 180o. This division reflects not only a change in the layout and intentions of the collections, but is also a reference to the mental conditions of the collectors, which started to draw the visibilities within their sphere of influence. The creation of museums, in a general sense, is a ‘Third Quadrant’ affair. Collections start in the European cultural history after 1200 and became a serious affair from the Pivotal Point (1500) onwards. The material is increasingly important – in particular in its relation to power. There was, on the other hand, also a genuine curiosity for the expressive forms within nature. In the background of this communication with the world lingered a vague idea of ‘beauty’ as a static representation of the ‘ultimate visibility’. ‘Timeless beauty’, characterized by objectivity and normative valuation, changed at the beginning of the Fourth Quadrant (1800) into a dynamic concept, determined by place, time and a subjective observer. The museum-as-an-institution followed this major conceptional transformation and collections followed in due course. Encyclopedic collections lost their appeal other than their devotion to the multitude and a celebration of diversity. The search for new artistic developments became the hallmark of the modern museums. 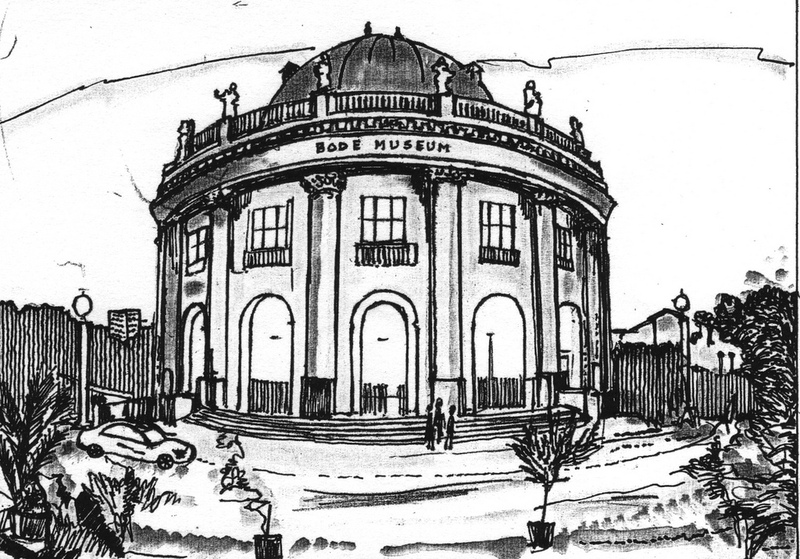 Let us start the story of the museums at their very beginnings. The French king Charles V (1338 – 1380) and his younger brother John of Valois, Duke of Berry (1340 – 1416) set the trend of collecting on a large scale at the end of the fourteenth century. The collection of the Duke of Berry is an early example of the intention to show his subordinates the affluence of the material world – and in the meantime remind them of his power and money to collect these riches. It will come to no surprise that he was greatly in debt when he died in 1416. An inventory of the collection of the Duke of Berry, compiled between 1413 and 1416, constituted of naturalia (snake skins, corals, shells, minerals, etc., but also valuable items of gold, silver and precious stones, like reliquaries) and antiquities (cameos and Roman coins). The artificialia included the scientifica (all types of technical instruments like the compass, quadrant and clocks), the mirabilia and the exotica. And finally the curiosa, in the form of pepper and salt sets, mirrors and games, contributed to the royal collection. The Kunst- und Wunderkammer is a continuation of these early French efforts of collecting. The first mentioning of this type of architectural unit was in 1550 in relation to the brother of Charles V, the Austrian emperor Ferdinand I (1503 – 1564) and showed that the act of collecting caught on in Europe. In particular the ‘nouveaux riches’ of the Italian Renaissance, like de Medici family, were eager to join in this festival of visibility. The royal estude (study room) got his Italian counterpart in the scrittoio or studiolo. The ideal of the uomo universale found in the art of collecting a way to express itself. Piero di Cosimo de’ Medici (1416 – 1469) had his scrittoio in the Palazzo Medici in Florence, mainly filled with books, but also with valuables of gold and silver. It is important to note that this collection was predominantly for personal use and aesthetic pleasure. His son Lorenzo I il Magnifico (1449 – 1492) extended the collection and gave it a royal and universal character. The Studiolo from the Ducal Palace in Gubbio (Umbria, Italy; now a part of the permanent collection of the Metropolitan Museum of Art in New York) is probably one of the most famous works of art of the Italian Renaissance. The Duke of Urbino, Federico III da Montefeltro (1422 – 1482), commissioned it as a place to pursuit intellectual exercises and receives important visitors. A devotion to visibility, and particular the visible visibility, was his main object. He had the typical split personality of a Machiavellian ‘Prince’ – on the one hand, a soldier of fortune, who sold his fighting capability to the highest bidder and – on the other hand – a protector of the arts, with an array of famous artists at his court. His portrait by Piero della Francesca, showing the undamaged left side of his face (the right side was badly damaged by a sword) is now in the Uffizi Museum in Florence. 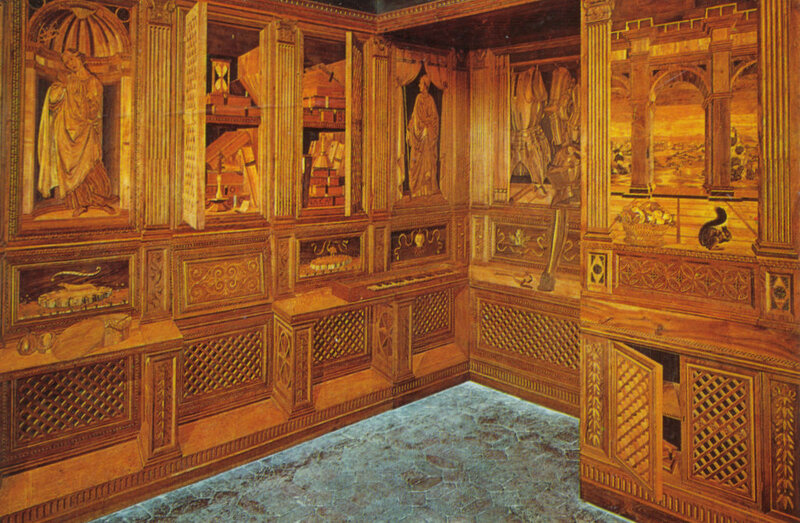 The Studiolo from the Ducal Palace in Gubbio (Umbria, Italy) (Postcard, 1995). The studiolo of Francesco I de Medici was built in the Palazzo Vecchio in Florence. The former city hall was extended after 1540, when the de Medici family moved in. Some halls were divided into apartments with an adjacent room for study. The architect, painter and art historian Giorgio Vasari (1511 – 1574) created a studiolo for Cosimo I in a part of the palace called ‘Quartiere degli Elementi’ – pointing to a tetradic interest. The study room of Francesco I, Grand Duke of Tuscany (1541 – 1587), Cosimo’s son and successor, was larger and built after 1570, also under Vasari’s supervision. The major part of the collection was hidden from view behind wooden panels. Decorations on the panels gave an indication of the contents of the shallow cupboards. The cross-type room had strong references to the four fold – seasons, elements, and temperaments – as was a familiar feature in the numerological-inclined sixteenth century. The art of collecting took a more general turn after the middle of the six-teenth century and continued to do so in the seventeenth century. The examples of the rich and famous, like the Habsburg ruler Rudolf II (1583 – 1612) in Prague, were followed by others. The Musei Wormiani is one of the such enterprises, resulting in an encyclopedic collection (fig. 423). Fig. 423 – The title page of a book by Ole Worm, which records the history and collection of his private museum (Musei Wormiani Historia, Leiden/Amsterdam, 1655). The Russian Tsar Peter the Great (1672 – 1725) composed a scientific collection by gathering curiosities during his trips to the Netherlands in 1697 – 1698 and 1716 – 1717. The Tsar visited Levinus Vincent, a damask trader, during his first stay in the Netherlands. The catalog of his collection ’Wondertooneel der Nature’ (1706) gives an impression of his cabinet. Peter the Great also visited Jacob de Wilde on the 13th December 1697, a collector of coins, stones, Egyptian antiquities and paintings, stored in the Museum Wildianum in Amsterdam. The Tsar stored the obtained items in the Kunstkamera in St Petersburg. This building, on the border of the River Neva, was completed in 1734 and is now the Museum of Anthropology and Ethnography. Research activities were connected with the institution, as well as a library, anatomical theater, laboratory and an observatory. Something similar was only developed in Europe after 1769 with the construction of the Museum Fridericianum in Kassel. Scientific collections flourished during the eighteenth century in all major places of research in Europe. The great French naturalist Comte de Buffon (Georges Louis Leclerc; 1707 – 1788) showed his ‘Salle de Collection’ in his monumental book ‘L’Histoire naturelle’ (1749). The young Swedish scientist Carolus Linnaeus (1707 – 1787) departed from his home country to the Netherlands in 1735 in search of recognition. He rapidly – a day after his arrival – became a candidatus medicinae in Harderwijk and published and defended his dissertation within a week (which he had prepared in Sweden some two years earlier). The results of Linnaeus’ earlier research on plants resulted in the publication of his book ‘Systema naturae’ (Leiden, 1735) and the ‘Fundament botanica’ (Leiden, 1736). A visit to a country house of a rich merchant changed his life. Linnaeus saw in ‘De Hartekamp’ a collection of all sorts of wild animals from the Indies and Africa. The glasshouses had a rich variety of plants ordered according to their habitats in the four continents (South Europe, Asia, Africa and America). He was offered a job by George Clifford junior (1685 – 1760), a member of the English Clifford family, which had owned the grounds for three generations. The results of his description and research of plants in the gardens were published in his book ‘Hortus Cliffortianus’ (1738). 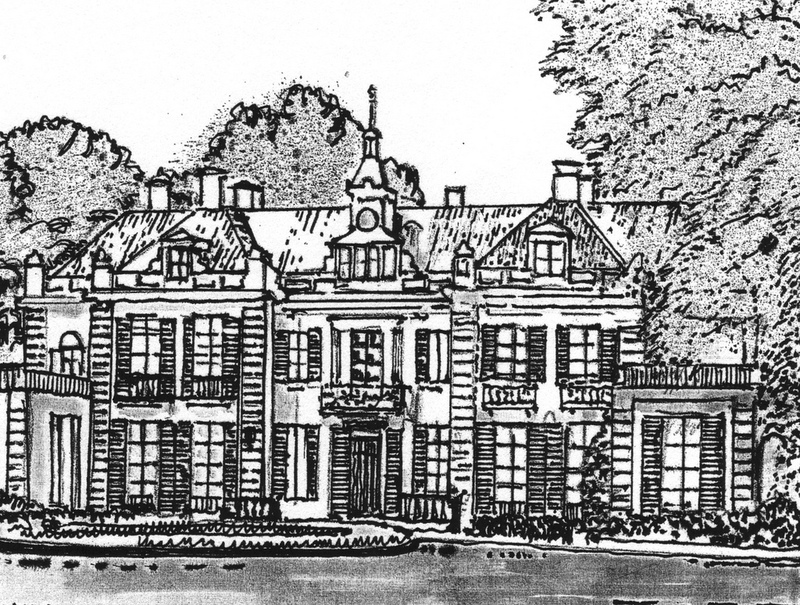 Country house ‘De Hartekamp’ is situated between Heemstede and Bennebroek (south of Haarlem) and features an uncompromising symmetrical front (fig. 424). The original location had a farmhouse named ‘Thorenvliet’, which was renamed in 1662 to ‘Hartekamp’ by its owner, the Amsterdam merchant Hendrik van de Camp. The building reached a more definite state in 1693 and a major overhaul followed in 1730 by the before-mentioned George Clifford. The house was fairly new when Linnaeus paid his first visit in 1735. Clifford’s cultural taste, which included exotic animals, bird- and glass houses, an orangery, a garden pavilion, a labyrinth, a grotto and a fountain, consisted, in short, of all the architectonic paraphernalia of an eighteenth century gentleman, who combined curiosity with the expressions of monetary power. Fig. 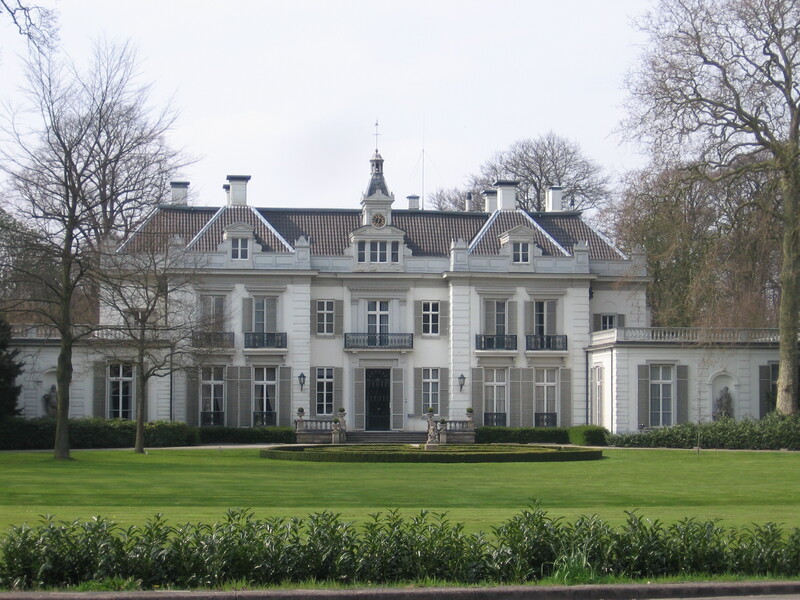 424 – A view of the country house ‘De Hartekamp’, situated between Heemstede and Bennebroek (The Netherlands), indicates a rigorous symmetrical character, in which the four-fold is notably absent. De Hartekamp. Carolus Linnaeus (1707 – 1787) – the Swedish botanist, who developed the binominal nomenclature of plants, stayed at this place from 1735 to 1738 (Drawing and photo by: Marten Kuilman, 2008). Linnaeus recognized twenty-four classes, based on the number of stamen (male sexual organs: Monandria, Diandria, Triandria, etc.) and sixty-five orders (depending on the type of stigma, the female sexual organs). His opus magnum is concerned with the establishment of the binominal nomenclature of plants. The book was called ‘Species plantarum’ and appeared in 1753. The collection of Linnaeus, consisting of thirty-six boxes of letters, manuscripts, herbaria (dried plants), minerals and insects, was shipped after his death to England in 1784, because the widow of Linneaus’ son Charles needed money for the education of her four sons. The history of the museum as an expression of the art of collecting experienced a major change in intention around the year 1800. It was stated earlier that the concept of ‘timeless beauty’, which was characterized by a normative objectivity, was replaced around the turn of the eighteenth and nineteenth century by a dynamic concept, in which the subjectivity of the observer played a much more important role. 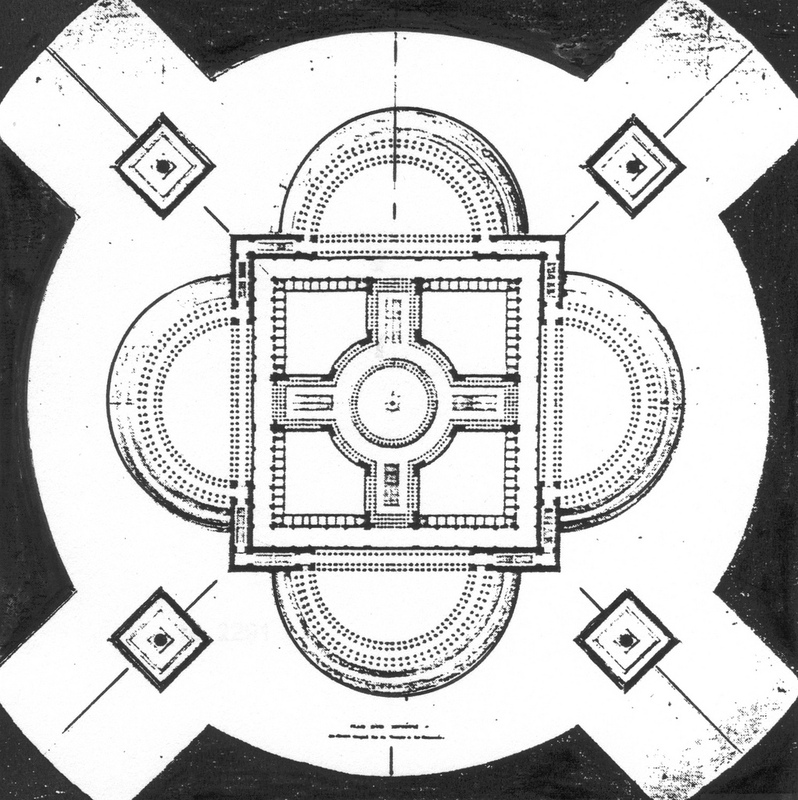 This change in viewpoint was immanent in Boullée’s ‘mass designs’ – which were encountered earlier in visionary outlays of hospitals and prisons and will be mentioned later in the design of palaces and concepts of city planning (metropolis). 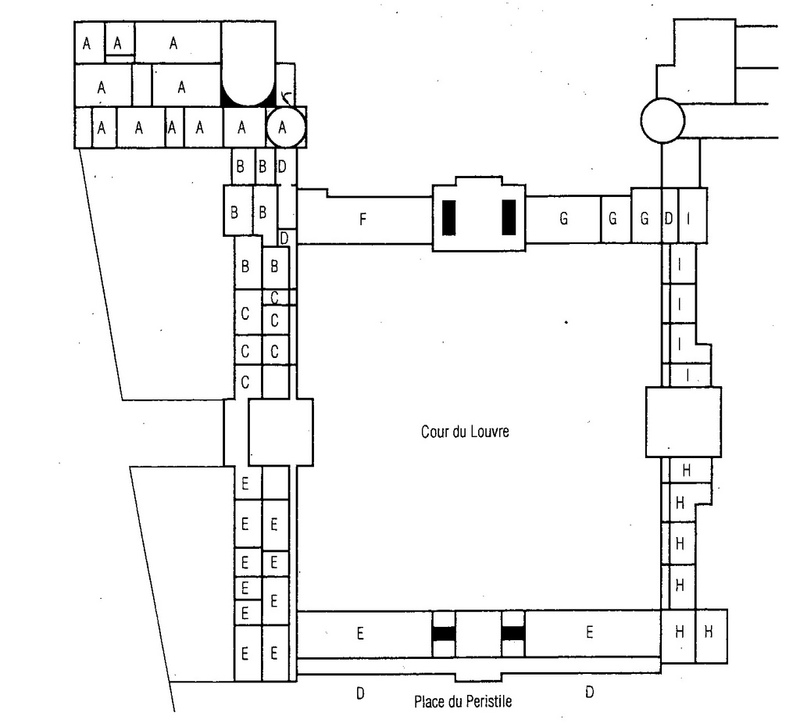 Boullée’s plan of a museum (fig. 425) has the usual ‘Classical’/Palladian ground plan with a circle, a (Greek) cross and a square as its main constituents. Fig. 425 – A plan of a museum by the French architect and visionary Boullée (HA 56; no. 26) is characterized by tetradic symmetry (P4). The leading artistic and intellectual endeavors at the end of the eighteenth century and the beginning of the nineteenth century had a noticeable preference for the four-fold. 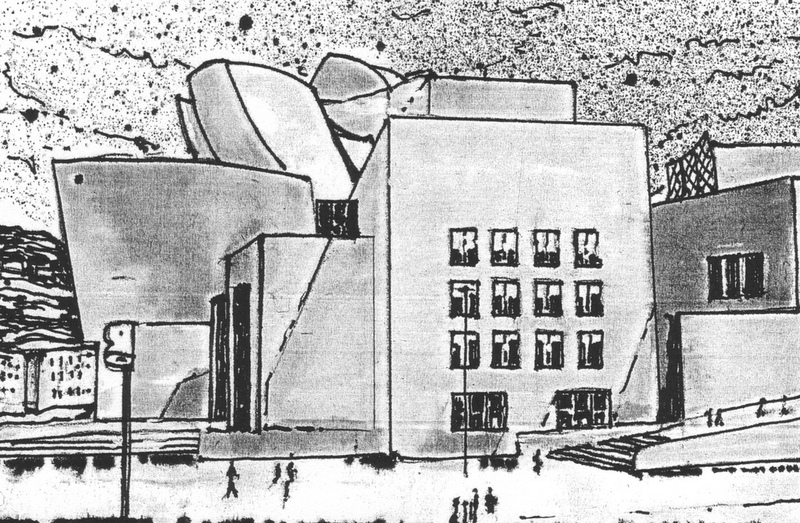 The importance of this design is not its originality, but the fact that public buildings – including the museum – became part of a total geometric outlook based on the four-fold. The museum (just like the hospital, the prison and other public buildings) was no longer just an accumulation of neutral architectural space, but held a (subjective) message of its own. Many (older) museums are often housed in neo-classicistic buildings dating from the (early) nineteenth century. It points to an upsurge of public interest in the visible aspects of nature in general. Schinkel’s design of the Altes Museum in Berlin (Germany) gives a good idea of the interior of a museum as envisaged in those days. The roof is copied from the familiar ‘Deckendach’ of old temples and the dome was a replica of the Roman Pantheon. Doric pillars enhance the general ‘classical’ outlook (fig. 426). Fig. 426 – This view of the upper vestibule of Altes Museum (Old Museum) in Berlin gives an impression of a ‘classical’ museum. The building was designed by Karl Friedrich von Schinkel. Its function aimed at a renewed consciousness of art and beauty, rather than acting as a collector’s storehouse of peculiarities. 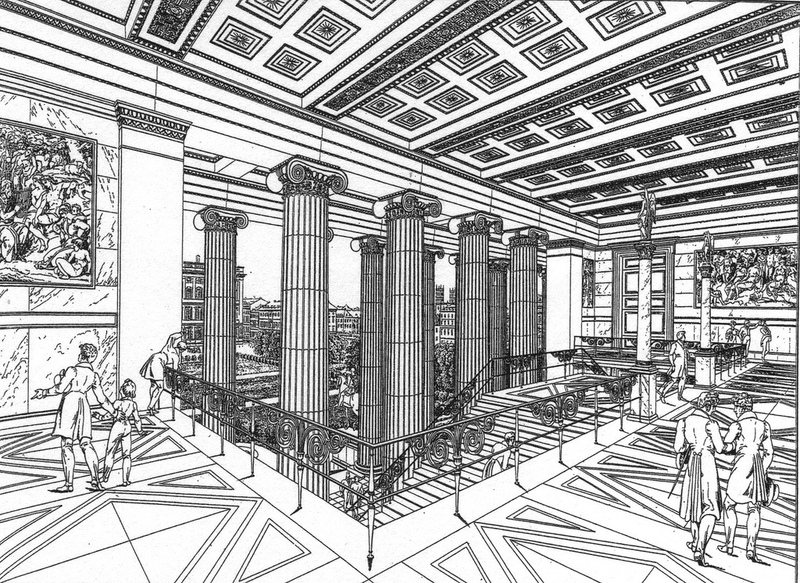 The Neoclassicist ideal, and its return to the achievements of the Greek and Roman classical past, influenced both the architecture of the museums and its collections. The awareness and veneration of material beauty and its subjective valuation is – in a quadralectic communication – a marker point for the transition from the Third to the Fourth Quadrant. It changed the act of collecting. The gathering of visibilities in the period from the 1400 to 1800 had been was a mixture of curiosity and a tool for social interacting. After 1800 it became a process of personal and collective enrichment. The attention to the material was valuated in a system of comparison with the known (its rarity) and the market value (its monetary potential). Both entities were, more or less, direct measurable, either in quantities or in money. Collecting was – and still is on an individual level – a search for identity, i.e. placing one’s personality within limits. The sense of identity is born in the urge to compare oneself with others in order to reach a form of valuation (to establish one’s ‘rarity’). The next step could be an appreciation of that rarity in terms of a (monetary) potential, or ‘power’. This search for identity is a Third Quadrant affair, because the principle works best in an oppositional environment. The comparison between the many and the one – to define the rarity of an item – can take place in an inductive (from one to many) or deductive way (from many to one). However, both methods have their initial separation of the ‘one’ from the ‘many’ in common. In other words: the choice (in division-thinking) has already been made before the process of comparison starts. This means, as soon as this situation is realized, that also other types of division thinking (other than primordial duality of the one-many) can be used in the search for identity. The whole process of assessment (valuation) changes as soon as this essential element in the thinking process becomes clear – which is in the quadralectic approach at the boundary of the Third and Fourth Quadrant. The initial ‘one’ (the identity of the part) becomes at this point a floating unit, confined to the self-established (division) boundaries of the observer. It implies that the original, ‘two-fold’ value of the singularity (specimen – part – individual) alters. It has to find a new definition in the given ‘subjective’ (division) environment. This situation holds true for any communication, either on a personal level or in a (scientific) approach of a historian to an entity like the European cultural history. Fig. 427 – The plan of the Altes Museum in Berlin is archetypal for the many museums, which spread all over Europe from the beginning of the nineteenth century onwards. The Altes Museum (Old Museum) (fig. 427) is part of the Museum Island in Berlin, which houses a number of museums. The island was conceived as ‘a center for the highest spiritual interests of the people that perhaps no other capital city possessed’. The Bode Museum (formerly the Kaiser Friedrich Museum) was designed by the architect Ernst von Ihne and dates from 1904. It was damaged, like the other museums on the island, in World War II, but returned to its former glory after its restoration and reopening in Oct 2006 (fig. 428). Fig. 428 – The Bode Museum on the Museuminsel (Museum Island) in Berlin has a prominent round shape, referring to the tholos-like buildings from the Greek classical past. The building was opened in 1904 as the Kaiser Friedrich Museum, but later renamed after the art historian and its first curator, Wilhelm von Bode (1845 – 1929). The Pergamon Museum was built between 1910 and 1930 and has the Pergamon Altar and the Ishtar Gate as its showpieces (see also p. 123 – 124, fig. 87). The Neues Museum (New Museum) was conceived in a neoclassical style by the architect August Stüler, a student of Schinkel between 1843 and 1855. He used the latest technology in steel in contrast to Schinkel’s Altes Museum, which was mainly constructed in wood. The Alte Nationalgalerie (Old National Gallery) dates from 1861 and is, again, a neoclassical building with an impressive octastyle (eight columns) front, which resembles the Parthenon in Greece. The actual building took place under the guidance of Heinich Strack between 1866 and 1876. It was the first museum on the island, which closed from 1998 until 2001 for complete restoration. The architectural firms of Heinz Tesar (Vienna) and Christoph Fischer (Berlin) renovated the structure from 1997 to 2005 and the reopening took place in the fall of 2006. The museum now houses the Sculpture Collection and the Museum of Byzantine Art. The Numismatic Collection is based in the base level with exhibition rooms in the upper level. The Glyptothek in München (Germany), with its collection of Greek and Roman sculptures, was created at the northern side of the Königsplatz by Leo von Klenze (1784 – 1864) (fig. 429). He was a neoclassicist architect, painter and writer, who became the court architect of Ludwig I, King of Bavaria. His Walhalla temple, near Regensburg, is one of his projects, which run simultaneous with the building of the Glyptothek (1816 – 1842). Von Klenze was also involved in the reconstruction of Athens, after the country became independent (in 1832) and was commissioned by the Russian Emperor Nicholas I to design the New Hermitage. Fig. 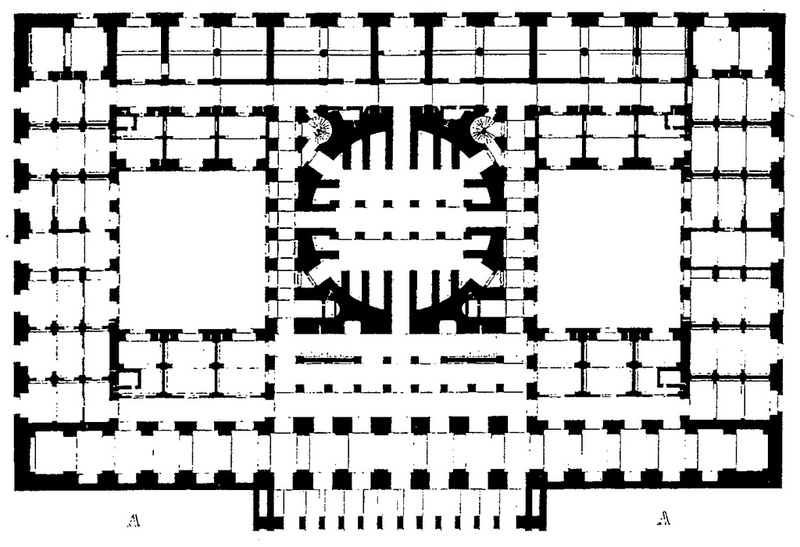 429 – The plan of the Glyptothek in Munchen by Leo von Klenze as given in an etching in his book ‘Sammlung architektonischer Entwürfe Glyptothek’ (1830) reveals a general, tetradic setting. The porticus has an octastyle front (eightfold), followed by four Ionic columns, making a total of twelve. The outer square has a 5 x 5 division, with the collections in the various rooms arranged in a chronological order, starting with the Egyptian room directly to the left in the vestibule and further in a clockwise way to the new collection in room XV. The Glyptothek in the Bavarian capital had the shape of an antique forum, with an octastyle front. The original building was built out of fine marble when it opened in 1830. It featured a magnificent collection of Greek and Roman sculptures, which were collected by the agents of Ludwig I. The museum was destroyed in the Second World War including the frescoes of the ‘Gods of Greece’ by Peter Cornelius, which were painted between 1820 to 1830. However, most of the artwork survived. The collections are now divided in four periods: the Archaic period (700 – 490 BC), the Classical period (490 – 323 BC), the Hellenistic period (323 – 146 BC) and the Roman sculptures (150 BC – 400 AD). The reconstructed museum was reopened in 1972, but could not fully match its former glory. All the great ‘classical’ museums in Europe, like the British Museum in London, the Hermitage in Leningrad, the Prado in Madrid and the Louvre in Paris, have their roots in the fashionable approach, which was established at the beginning of the nineteenth century. They are usually housed in square or elongated buildings with often little reference to the four-fold other than their rectangular character. The British Museum was founded in 1753 ‘to promote universal understanding through the arts, natural history and science’. The collection of the Ulster physician, naturalist and collector Hans Sloane (1660 – 1753) formed the base of the new type of institution, bringing the heritage of other cultures under the attention of a wider public in an educational setting. The museum in the Montague House opened in 1759 to the public (fig. 430). Fig. 430 – A drawing of Montague House in Great Russell Street in the Bloomsbury district of London by Sutton Nichols. The house became a museum after an act by Parliament in 1753 and was called the Cabinet of Curiosities. The original Montague House was built about 1676 by Mr Hooke for Ralph Montague, third Baron Montague of Boughton, Master of the Great Wardrobe to Charles II. The house was in a French style with noble furniture and a ‘fine but too much exposed garden’. This house burned down in January 1686 due to the ‘negligence of a servant airing some of the goods by the fire in a moist season’. 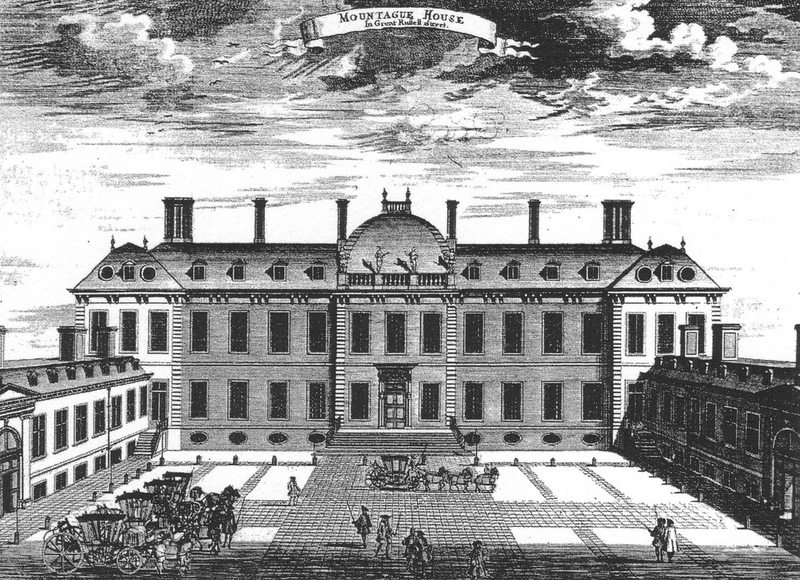 A similar house, as seen above in a publication of 1754, took its place and was purchased for the collection of Sir Hans Sloane, which became the nucleus of the British Museum. Hamilton’s collection of Greek vases and other objects was purchased in 1772 and the Rosetta Stone was brought from Egypt in 1802. The Shabaka Stone was another artifact with historical relevant hieroglyphs, which was acquired in 1805. The Elgin Marbles of the Parthenon followed in 1816. Their status of being ‘stolen art’ or ‘art saved from neglect and destruction’ poses at present an ethical question and an interesting problem for all types of collecting throughout the ages. This issue proves, above all, that ‘art’ – and the act to see a certain ‘value’ in a man-made material object – is a flexible commodity in time and place. Artifacts might have been neglected by previous generations, but become important for the establishment of a (new) national identity. The traces of the past can support a modern interpretation of a group of people in a historical setting. However, the process can also be reversed. The destruction and looting of the Gertrude Bell-initiated Baghdad Archaeological Museum (see fig. 191) is the most recent example (April 2003) of a culture, which does not value its heritage high enough to protect it. The many museums, which were bombed and had their art destroyed or stolen in the Second World War in Europe is another painful example. The Assyrian collection in the British Museum will astound any modern scholar. The pictorial representation Assyrian kings displaying their wealth and importance and general greatness to the people have a touch of outstanding beauty. Most of the material from Mesopotamia was collected by Austen Henry Layard (1817 – 1894), who excavated royal buildings and temples at Nimrud (ancient Kalhu) up to 1851. Thereafter the Mosul-born archaeologist Hormuzd Rassam (1826 – 1910) and others continued to dig at Nineveh and discovered the palace of Ashurbanipal (668 – 627 BC) and send sculptured slabs to the British Museum. Two miles of sculptured slabs were discovered in one of the greatest Assyrian palaces built by Sennacherib (704 – 681 BC), the son of Sargon II. A hexagonal clay prism (known as the Taylor Prism, now in the Oriental Institute Chicago, Illinois) – found in the ruins of Nineveh – gave an account of his campaign against Egypt and on his return to Israel and Judah. There is also a reference to this ruler in the Bible (II Kings 18-19), where he is defeated by ‘the angel of the Lord’, who slew hundred and eighty-five thousand soldiers. The siege of Jerusalem was abandoned and the ruler never again went on long campaigns, concentrating in stead on architectural achievements. Sennacherib was murdered by his own sons, as is also mentioned in the Bible (II Kings 19:37). The round Reading Room in the central courtyard of the British Museum was designed by Sydney Smirke (1798 – 1877) between 1854 and 1857 based on a sketch by the Italian revolutionary and Chief Librarian Anthony Panizzi (1797 – 1879). 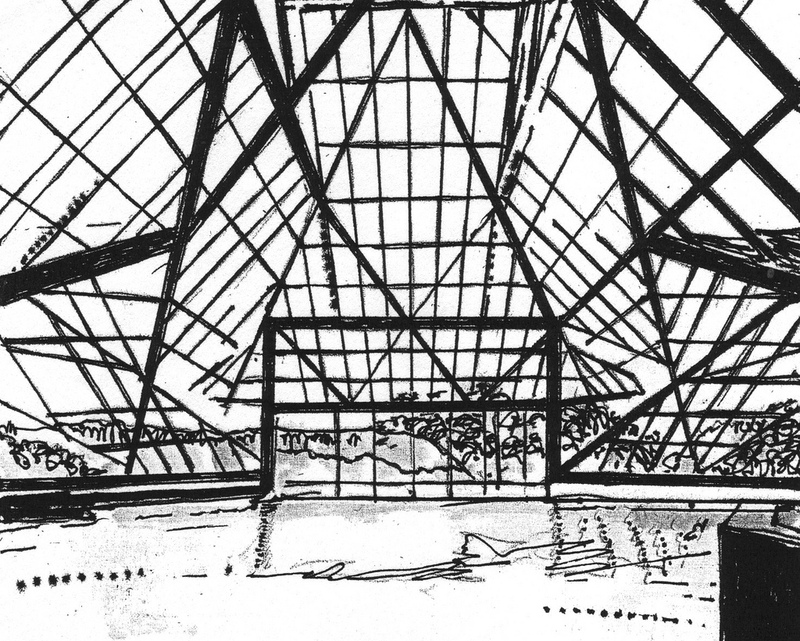 The roof is metal framed and the glass-covered oculus has spokes in a 20-40 division. The space functioned until 1997 as the main reading room of the British Library, but was then moved to a new building at St. Pancras, London. Fig. 431 – The natural history collection of the British Museum moved to its new location on the South Kensington Exhibition Road in 1881 and became the Natural History Museum. The architect of the building was Alfred Waterhouse, a successful supporter of the Gothic revival style. The natural history collection had much earlier moved in the 1880’s to new premises in South Kensington (fig. 431). The Natural History Museum was designed by the British architect Alfred Waterhouse (1830 – 1905), the son of wealthy mill-owing Quaker parents. The building on Exhibition Road is characteristic of the Gothic revival style, which flourished in Victorian times. The museum opened in 1881, although the move from the old building to the new one was not fully completed until 1883. Sculptured terra cotta was used to cover the outside of the walls. 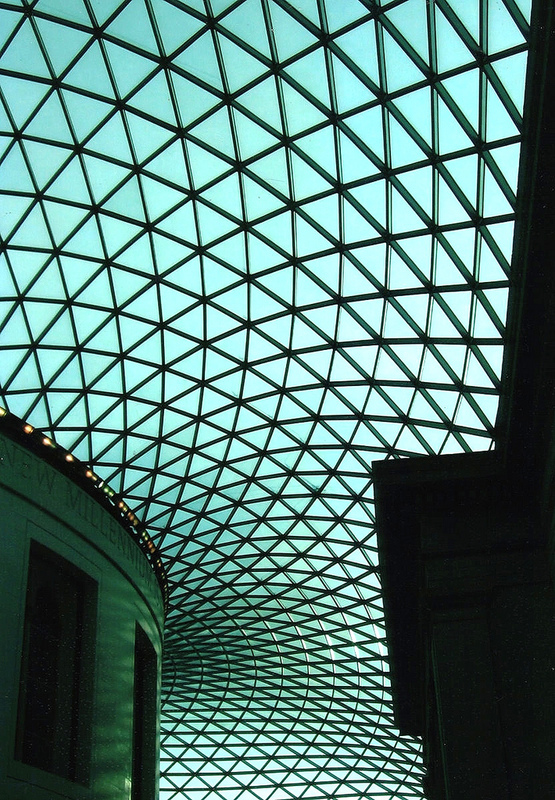 The architectural history of the British Museum reached a zenith with the opening of the Queen Elizabeth II Great Court in 2000, preceding the celebrations of its 250th anniversary in 2003. The polyhedral skeleton was designed by the architect firm of Foster and Partners. They used the principles of the geodesic dome, as pointed out by the American engineer and inventor Buckminster Fuller. The framework is brilliantly incorporated in the building and the restored Reading Room (fig. 432). Fig. 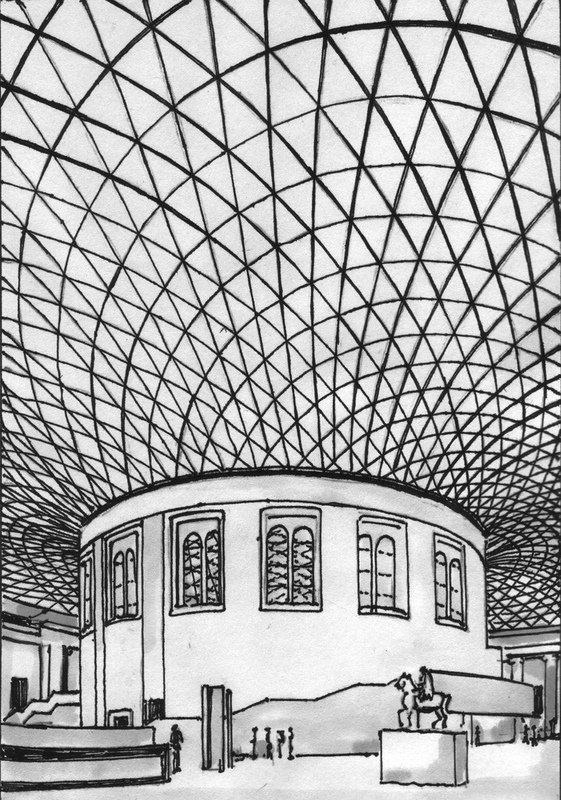 432 – The dome of the Queen Elizabeth II Great Court covered the space vacated by the Library and forms now the vibrating heart of the British Museum in London. British Library, London. Photo: Marten Kuilman, 2007. 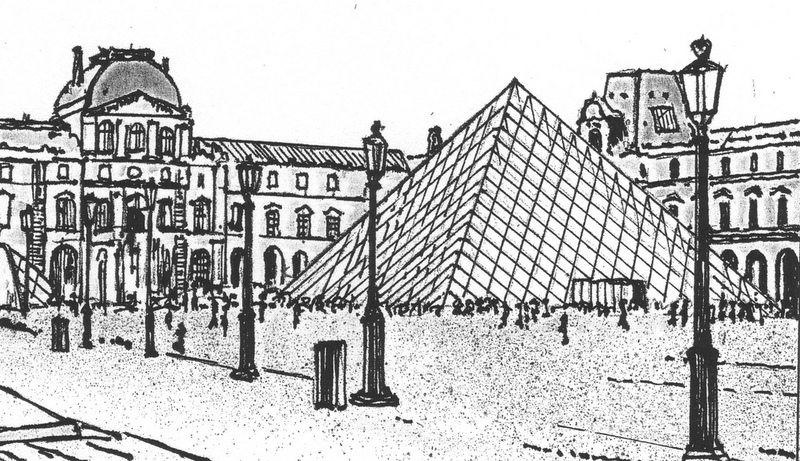 The history of the Louvre Museum in Paris goes back to the twelfth century. The Castle of the Louvre was built at the borders of the River Seine to protect the city from the Vikings. A round tower (donjon) double-acted as prison and treasury. The Louvre became a royal residence in 1360 when Charles V changed the fortification into a palace. The donjon was removed in 1528 and the King Charles I (1494 – 1547) brought the palace to new glory. Philbert Delorme designed the nearby Tuileries Palace in 1564. King Louis XIII (1601 – 1643) expanded the Louvre again by adding the Pavillon de Flore and the Pavillon de l’Horloge and enlarging the inner court. His successor, Louis XIV, also known as the Sun King (1638 – 1715), added the Galerie d’Apollon and the Colonnade, which closes off the Cour Carrée. The buildings fell in disrepair after Louis XIV left with his court to Versailles in 1682. The royal complex was subsequently converted into the Museum Central des Arts in 1793 (fig. 433). The foundation of a museum in the Louvre aimed at a display of national achievements and served as a marker point to establish a (French) identity. Fig. 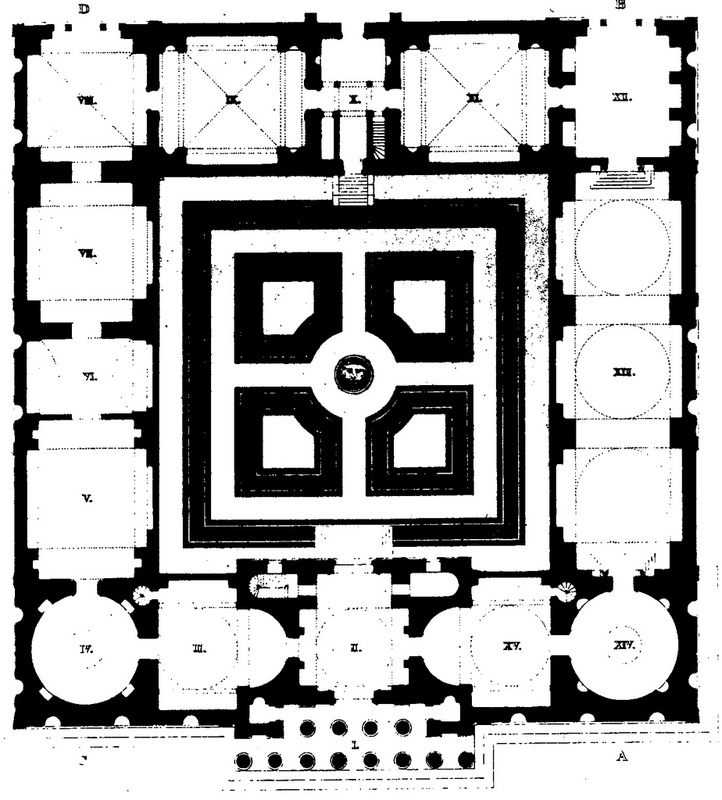 433 – This plan for the proposed layout of the Louvre as a museum was given by Jacques-Guillaume Legrand and Jacques Molinos, 1790 – 1791. The basement had the following rooms: A. Architecture; B. Botany; C. Chemistry, mineralogy and metallurgy; D. Passages; E. Medicine, Chirurgy, Pharmacology and Zoology; F and G. Antiquities; H. Agriculture; I. Instruments and models. Emperor Napoléon (1769 – 1821) completed the Cour Carrée and enlarged the Place du Carrousel. The Arc de Triumph du Carrousel (see fig. 460) was posited as a practical and symbolic gateway. Its quadriga could be seen as a sign of power, which encompassed the four corners of the world. His nephew Napoléon III (1808 – 1873), the last monarch of France, made further additions by closing off the Grande Court at the north side. The old Tuileries Palace burned down in 1871. It was demolished in 1882 to make room for new additions, like the archaeological specimen collected by Marcel-Auguste Dieulafoy (1844 – 1920) in Susa (Iran). The Chinese-born architect Ieoh Ming Pei (1917) added more recently a glass pyramid in the center of the court, which was inaugurated in 1989 (fig. 434). The subterranean entrance hall received in 2006 eighty-three million visitors to make the Louvre the most visited art museum in the world. Fig. 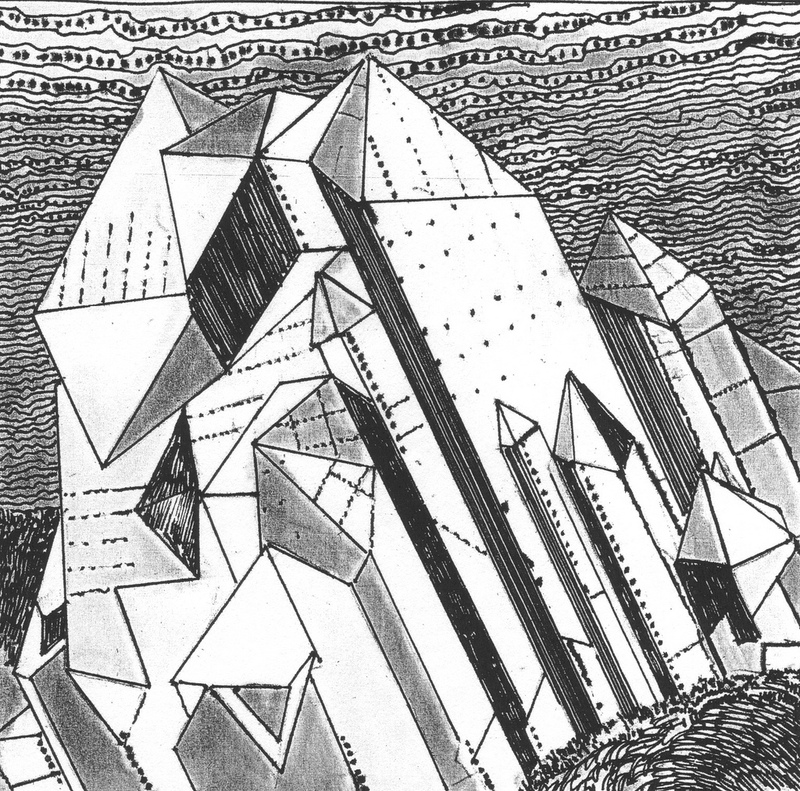 434 – The glass pyramid by the Chinese-American architect I.M. Pei is situated in the enclosed space of the (old) Louvre Museum in Paris. The geometrical feature is the new entrance to a subterranean hall. It was inaugurated in 1989. The twenty-two meters high pyramid adapts smoothly with the older, neo-classical façades. Entrance of the Louvre Museum, Paris. Photo: Marten Kuilman, 1997. 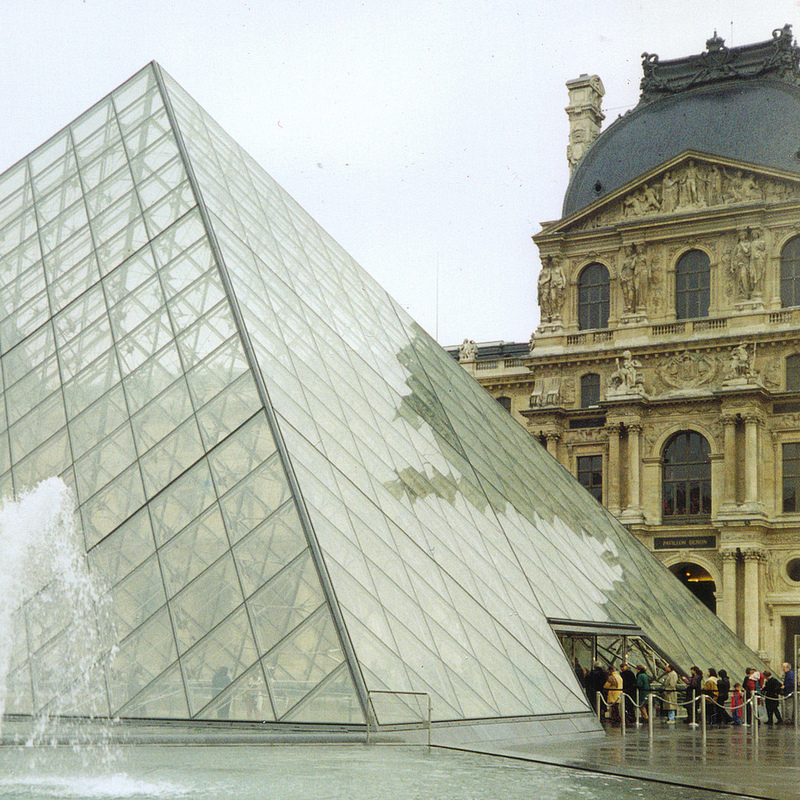 The Chinese-American architect I.M.Pei was chosen for the renewal of the Louvre Museum by the French president Mitterand. The latter had seen the extensions of the National Gallery (East Wing) in Washington D.C. The Miho Museum in Shigaraki (Japan) is one of Pei’s most characteristic buildings, situated in the Japanese countryside near Kyoto in the Shigaraki National Park (fig. 435). The triangular frame elements intermingle with square glass plates forming a translucent cover of the space. Fig. 435 – The Miho Museum at Shigaraki (Japan) is dedicated to a play of light by glass plates, which are fitted in triangular or square frames. The boundary between the inside and the outside of the building is in this concept more or less obliterated. This filtering of the light in a geometric setting is pushed to the extreme in the lobby area of the Jacob K. Javits Convention Centre in New York City. Pei also designed the seventy-story high building of the Bank of China in Hong Kong, which is an archetypal representation of the sophisticated glass-clad buildings, which sprung up in the high tech movement in the last decennia of the twentieth century. The amalgamation of the old (neo classicistic) and the new (high tech) styles in architecture find its apotheosis on the Cour Napoléon of the Louvre Museum. The encounter between the end of the eighteenth and the end of the twentieth century seems to be successful. The very reason for this effective merger in styles might be found in their mutual roots in basic four-fold thinking and an understanding of geometry as its messenger. Jesús-Pedro LORENTE (1998; p. 24) noted that ‘the most defined features differentiating the nineteenth century from all previous periods, was an irreversible tendency towards specialisation and fragmentation in all fields of knowledge’. This break was, according to this writer (who quoted Foucault), comparable with the rupture produced towards the middle of the seventeenth century. From that moment on (1650) the scientific community was geared towards the establishment of a universal corpus of knowledge. These intentions eclipsed in the Encyclopédie of Diderot and d’Alembert. The Renaissance ideal of the universal man found in men like Diderot and Goethe their last representatives. The further fragmentation (of knowledge) was reflected in the European museums of the nineteenth century, which were now dealing with particular areas. Collections, like that of the Uffizi in Florence were dismembered. The various periods (like Roman, Greek, Etruscan) were separated from each other. Paintings, ethnographic items and rarities of nature went for their different ways. The Kunstkammer in Dresden was dissolved in 1835 and its treasures, like the Porcelain Collection and the Kupferstich Kabinett got their own domicile and a new Paintings Gallery was built in 1847 –1854. The Royal Kunstkammer in Copenhagen became the source of a number of museums in the city between 1820 and 1840. The museums of the nineteenth century also had to include a specialization in contemporary art. The Musée du Luxembourg in Paris was one of the first buildings to set this trend, when it was initiated in 1818. Its role was a tableau for the productions of contemporary artists. This goal was in contrast to the archaic, ‘monumental’ museums with their ‘old masters’. The latter institutions, on the other hand, also searched for modernity and found their goal in the form of participating education. They tried to lure visitors through their gates by staging specialized expositions of particular painters or periods. A desperate attempt to radiate action and progress became the concern of nearly all museums alike. The reference to history, which is part of any collections’ mission, sometimes got lost in the determination to reach for the future. Museums became, as pointed out in an inspiring paper by Jesús Pedro LORENTE (1998), the ‘cathedrals of urban modernity’. New and iconic buildings provide spiritual people with a form of salvation from their ever-increasing cultural confusion. This notion was already noticed and visualized by the social reformer James Silk Buckingham, who published a plan for a model town in 1849 in which the center point was an art gallery, rather than a church (see also fig. 666; BENNET, 1995). The museum and art gallery developed, even more in the twentieth century, into a place of urban importance, where people came to see and to be seen. Their function was part of a ‘continuing education’, both on an intellectual and social level. The Guggenheim Museum in Bilbao (Spain), which was opened in 1999, is a perfect specimen of this modern interpretation of a museum, both in terms of an urban renewal as in its socio-cultural presence (fig. 436). The regeneration of Bilbao was greatly helped by the building of the Guggenheim Museum. The Tate Modern on the banks of the Thames in London is another example of ‘Power into Art’ in which the museum makes a statement in the urban environment. Fig. 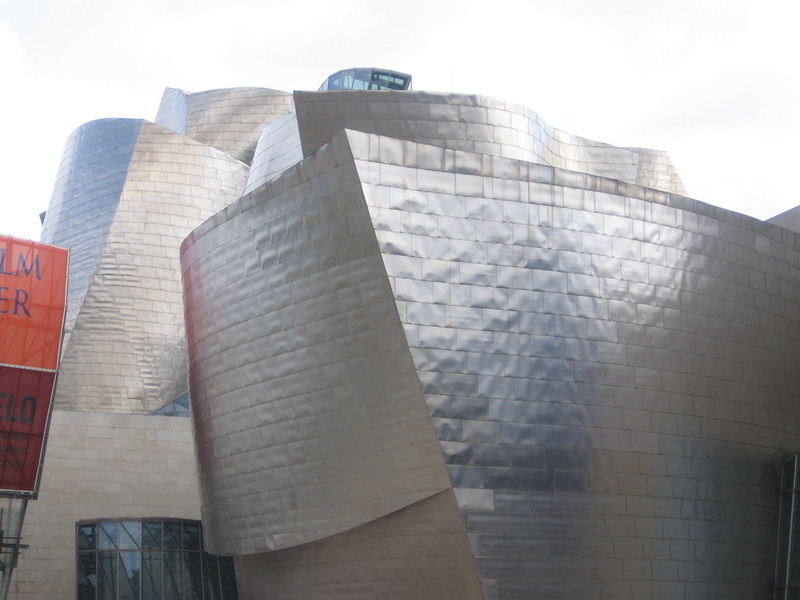 436 – The Guggenheim Museum in Bilbao was designed by the architect Frank Gehry. The building represents a vivid example of the role of a modern museum in urban development. The Guggenheim Museum in Bilbao. Photo: Marten Kuilman, 2007. An even more prominent example of the function of a museum as part of an urban development is the MARTA Museum in Herford (Germany). This small place in Westphalia took the initiative to develop an empty factory into an art center. 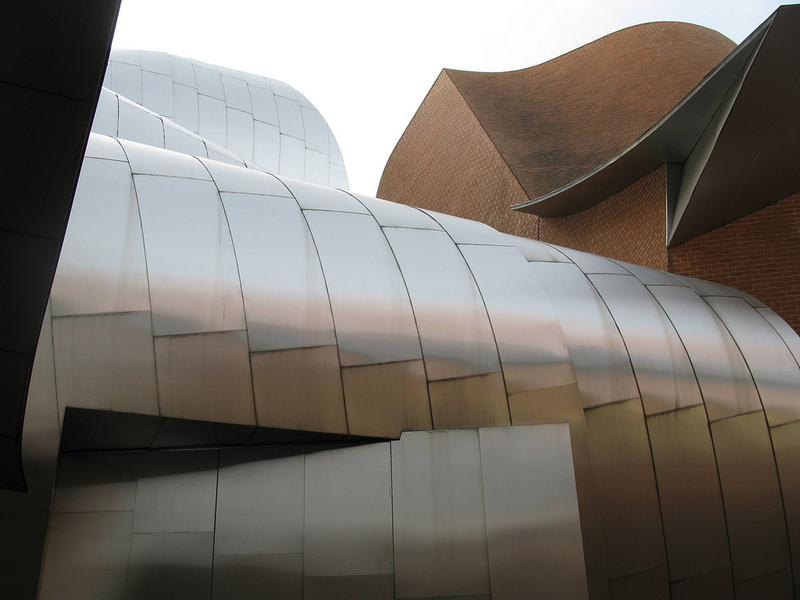 Frank Gehry (born as Ephraim Owen Goldberg in Toronto (Canada) in 1929) gave the building a new ‘face’ by the twisted shapes of shiny metal and curved brickwork. The description by a Newsweek article (Sept. 1993) as ‘a wild jumble of angular shapes covered in shimmering brushed stainless steel’ holds for this building as well. The integration of old and new is successful and also the inner layout has all the features of a modern museum. Douglas DAVIS’ statement in his book ‘The Museum Transformed’ (1990) that ‘no building type can match the museum for symbolic or architectural importance’ is fully proven in this small German town. MARTA Herford Museum by Frank Gehry. Photo: Marten Kuilman, 2010. The architecture of the museum has taken a huge flight at the end of the twentieth century, searching for all types of representations. Gehry’s ‘wild jumbles’ – earlier displayed in the Walt Disney Concert Hall in Los Angeles – are only part of the specter. It would lead too far to survey all the modern museums, but two examples will be mentioned here to show in which direction the museum has gone. The first is the ‘techno-city’ of the Futuroscope complex near Poitiers (France), which houses various exotic designs (fig. 437). The Kinémax building rises up at sixty degrees from the surface to a height of thirty-five meters. Three thousand mirror plates cover the exterior. Inside is an ‘Imax’ cinema with four-hundred-and forty chairs. The exposition building is situated at an artificial lake of seven thousand square meters. Fig. 437 – The Kinémax in the Futuroscope complex at Poitiers (France) opened in 1987 and was shaped like a giant quartz crystal growing out of the earth. The second extravagant structure is the Ciudad de las Artes y las Ciencias (City of Art and Science), which started in 1996 in the city of Valencia (Spain). The ’Hemisfèreric’ (1998) and ‘El Palau de les Arts Reina Sofia’ (2005) are respectively a cinema (with Imax-films and with multimedia presentations) and an opera house, which is also suited for dance, theatre and music performances (fig. 438). The Musea de las Ciences (Science museum) and the Parque Oceanografica completed this cultural landmark as it was designed by the architects Santiago Calatrava and Félix Candela. Fig. 438 – The cinema L’Hemisfèric and the opera theater El Palau de les Arts are part of a civic complex in Valencia (Spain). They surpass the intentions of a museum and stake new territory as buildings, which accommodate wider cultural expressions. The history of museums is a representation of a cultural attitude. It is also a measure for the type of division thinking. The line from the Kunstkammer to the organized chaos of the various creations of Frank Gehry and the subsequent search into the exceptional has all the drama of the process of division thinking itself. The architecture of the museum-as-visibility passed through the very motions of collecting itself. The human interest ran from the ‘innocent’ type of collecting in the first half of the Third Quadrant of the European cultural history (1200 – 1500) to the ‘inspired’ form in the second half (1500 – 1800) only to burst into the ‘emotional’ type of display in the Fourth Quadrant (from 1800 to the present). Six hundred art museums have sprung up in the United States in the last thirty years alone and the enthusiasm, which followed in Europe after the Centre Pompidou in Paris (1972 – 1976) proclaimed an invigorated appreciation of the visible. One can argue if the creations of modern architects – like Renzo Piano, Richard Rogers, Frank Gehry, Richard Meier, Daniel Libeskind, Santiago Calatrava, Rem Koolhaas and others – can be described as ‘quadralectic’. Technological advanced materials (like titanium or special cement as was used for the ‘sails’ of the Jubilee Church in Tor Tre Teste, Rome) and computer-generated forms can be pleasing to the eye, but their character does not necessarily qualify them as ‘quadralectic’. Only a deeper under-standing of their philosophical background will eventually hold the key to such a qualification.